With just over a month to go until Fish’O’Mania XXVI kicks off in time-honoured fashion at the picturesque Viaduct Fishery, we’ve seen a spate of anglers signing up for their tickets. The prize fund for this year’s contest is still one of the largest in match fishing at a whopping £50,000 and there’s never been a better time to sign up for tickets, with fewer pegs being utilised at the fisheries this year. At present we’ve got several popular venues with only a handful of tickets remaining, so it’s well worth heading across to the booking site to guarantee yourself a ticket. 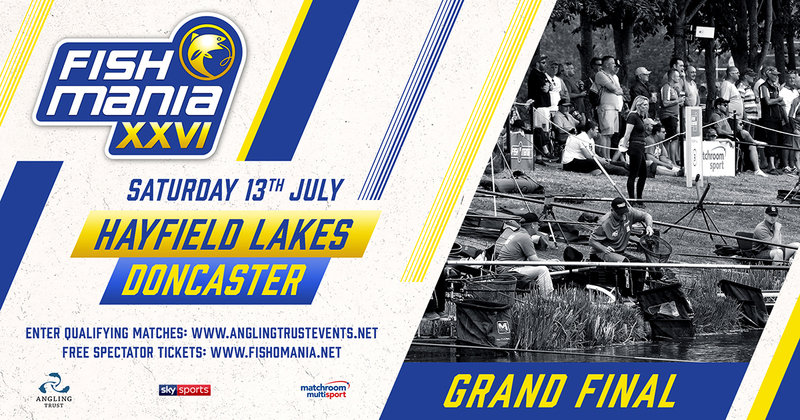 Tickets for the Fish ‘O’ Mania XXVI qualifiers will again be sold via the Angling Trust Events booking website HERE. Ticket prices have once more remained the same at £25 per qualifier. Please note: Anglers must have individual membership of the Angling Trust available on 0343 5077 006 or on our website. Anglers are also reminded they must be 16 years and above in order to take part in the main event. For any further enquiries regarding the online system please call us on 0115 822 4519/ 0115 822 4532.